Did you know that around ¾ of the population have some sort of fear or anxiety about visiting the dentist? Whether it’s past experiences, going to the office, or the examination of teeth, many people face dental fear. Even 20% of the population have been diagnosed with some form of dental fear. So, how can you get the oral healthcare you need if you’re afraid of the dentist? 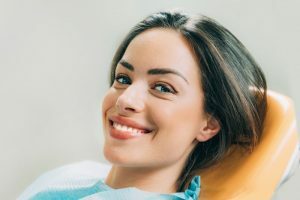 Keep reading to learn why sedation dentistry is the answer, and how a sedation dentist in Ripon can keep you relaxed during your visit. Sedation dentistry offers anxious or fearful patients calming effects to keep them relaxed during their appointment. Dental fear can cause patients to prolong visits to the dentist, so sedation dentistry like laughing gas, oral conscious sedation, and IV sedation offer patients a way to relax while receiving treatment they need. The type of sedation right for you is based on your individual needs. Your dentist in Ripon will be able to talk through your anxiety and fears so they can recommend the right kind of sedation for you. The most common sedation methods are conscious sedation, where you’ll still be awake, but you won’t know what’s going on. Do you get anxious before dentist or doctor appointments? What about when you’re sitting in the office or dentist’s chair? Possibly the biggest advantage of sedation dentistry is that it relieves anxiety. No more worrying about whether your treatment is going well or if it’s going to hurt. Though everyone can benefit from sedation dentistry, it helps those with anxiety or fear the most. While modern dentistry has only become gentler and safer over the years, patients still may face some discomfort or pain during certain procedures. During sedation, your brain cannot register pain, so you’ll feel relaxed and comfortable. This is one of the reasons why sedation is so popular—it removes even the possibility of pain out of the equation. A gag reflex is a good thing to have, but it can get in the way of dental procedures deep inside the mouth. Sedation dentistry actually paralyzes your gag reflex, so you’ll never have that uncomfortable swallowing or gagging feeling that you may have felt in the past. Last but certainly not least, patients will receive faster dental care when under the influence of sedation. Your dentist can move quicker and more efficiently because they won’t have to worry about your reactions to their treatment, the position of your mouth, or any squirming around that may occur. That way, you’re out of the chair and office as quick as possible with a healthy smile. So, do you have any dental treatments that you’ve been putting off? Let sedation dentistry relieve your fear and anxiety to give you the oral healthcare you need! At Silver Creek Dentistry, we have a team of 5 highly-trained dentists who each bring unique skills and backgrounds to the practice. They understand that dental fear is a common issue, which is why they offer a variety of high-quality sedation dentistry options at their practice. For any questions, they can be contacted through their website or by phone at (920) 748-7200.